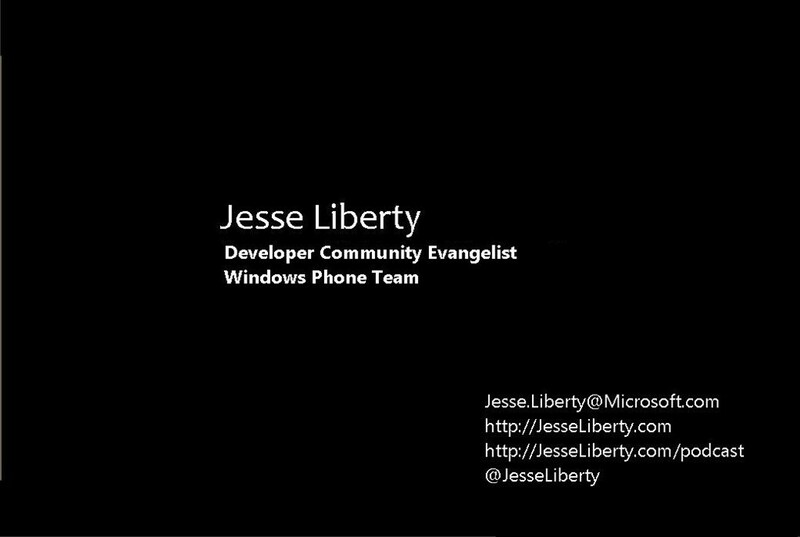 Jeff Blankenburg, Microsoft Evangelist, (and my co-author on the forthcoming book Migrating To Windows Phone) recently wrote a great blog post on the contents of his Laptop bag. He asked me to follow up with the contents of my bag. So here it is. What’s in your bag? 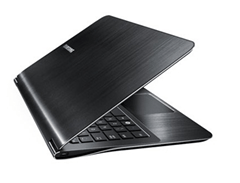 I have a few (they replicate like rabbits) but the one I travel with these days is my new Samsung Series 9. This is the sweetest laptop I’ve ever owned. Just over 1/2 inch thick, weighs under 3 pounds, with 4GB of RAM and a 128G wicked-fast Solid-State-Drive. It’s also beautiful. The tricky part is wiring it up, and for that my bag is filled with a number of converters and wires, including the Ethernet dongle that comes with the machine, as well as a micro to normal HDMI converter and an HDMI to DVI converter. For me, a mouse is essential. I’ve tried the track pad and even the tiny mini-mice but they don’t cut it. I need a full sized wireless mouse and the very best as far as I’m concerned is the Microsoft Arc. I admit that I get them at a discount, but the price on Amazon is still under $35. They are comfortable, they fold up and they work great. This one’s a cheat because it’s not in my bag at all, it’s on my key ring. This 16GB La Cie USB 2.0 flash drive has saved my bacon on more than one occasion – never travel to give a presentation without everything backed up and separated from your carry bag. Having it on the key ring is ideal. 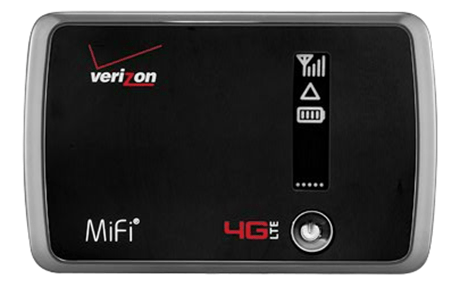 Thanks to Jeff’s suggestion, I now carry a Verizon MiFi 4G LTE which provides Internet access for up to 5 devices simultaneously. I bought the 5GB / month plan, which is about enough given how often I can tap into free WiFi – this baby is for those times that there is no WiFi in the area. Verizon sells it for $20 but they often have promotions that make it free. 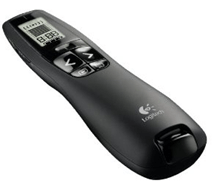 The Logitech Professional Presenter R800 has a green laser pointer and buttons to move your presentation ahead or back, or to turn off the presentation (blank the screen). In addition, it has a silent timer that vibrates at your pre-determined count-down time; giving you the signal to finish up, because if an audience hates anything more than watching you walk back to the computer to advance your slides, it is having you run over your allotted time. Unlike any rational human being, I typically travel with 4 smart phones. This includes my main Samsung Windows Phone, as well as a developer Windows Phone (with the latest build of Windows Phone). I also typically carry an iPhone and/or an Android, which I use for writing about migrating to Windows Phone programming. I like to travel with my Podcasting equipment – you never know who you’ll run into on the road. This means at a minimum, the Zoom H4n, which is a pod-casting studio in a box, and in a pinch it is all I need. 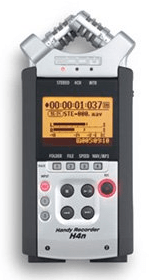 I cannot recommend this highly enough; it has a pair of built in mics to record at 90 or 120 degrees, four channel recording using the built in mics or your own external mics, a digitally controlled mic preamp and a 1.9 inch LCD screen. It weighs just under 10 oz. With a 32GB SDHC memory card you get over 15 hours of recoding at 24bit/96Khz linear PCM or 550 hours of recording at MP3/128 kbps. If I’m going light, I also carry my smaller headphones, Koss PortaPros. These little headphones are incredible; don’t let the low price ($33 on Amazon) fool you. This is Koss of KLH fame, and it shows. They weigh just 2.1 ounces and provide a multi-pivoting ear plate and an adjustable headband (which also allows you to adjust the pressure on your ear). The frequency response is 15-25KHz and the sensitivity is 101 db SPL. Very sweet. When I’m planning on a full podcast interview, I’ll add a pair of Shure SM58 mics – they are the gold standard and they cost only $100. These 10.5 oz, cardoid microphones have a frequency response of 50-15KHz, which is just right for podcasting. There is a built-in pneumatic shock-mount system which does seem to keep down the noise. You’ll want to add a wind or pop-filter however, if you are using these a lot. 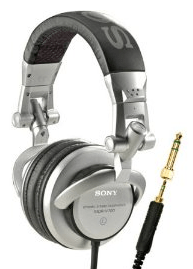 Finally, if I’m carrying the mics and especially if I’m traveling by plane and I’d like to block out as much sound as I can, I’ll swap out the PortaPros for my Sony MDR-V700DJ Studio Monitor Series headphones. Amazon marks it down almost half price to $90. 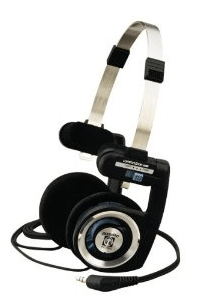 These beauties are incredibly comfortable and they give true studio sound. The cups fit nicely and they swivel, allowing you to listen with one ear and have ambient sound coming in the other. I read about 100 books a year, and I’m typically in the middle of 3-5 books at a time. The Kindle has been a life saver. I currently have over 250 books in my archive (and I do go back and reread some or all of books I’ve finished) and 10 books that are on my “current” screen. I love the ability to change the font size (I bump it up late at night) and to synchronize the book I’m reading across devices. 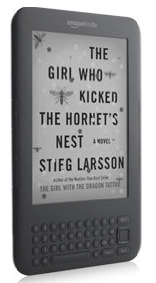 I read the Kindle when I have it with me, but I’ll read on my Windows Phone when I’m out and about, and I’ll even read on my PC from time to time. Amazon keeps them all synchronized. The Kindle comes in a few flavors: I chose the standard-size WiFi version and have been very happy with that choice (and with the cost). The good news is that most of the chargers use an electricity-to-USB box, and these are interchangeable. The bad news is that we still have at least three USB ends on the wire, and so my bag is filled with USB wires that are not interchangeable. 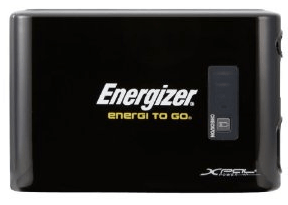 I’ve looked at a lot of spare power options, the one that gives the best price:performance in my experience to date is the Energizer XP8000. This little puppy provides about 4 hours of power for a notebook or a full charge for my Windows Phone and it comes with a zillion adapters ensuring that you can plug in virtually any device. It happens every trip; I go to the airport and all the wall outlets are taken. I walk over and politely ask if I can share, showing my four outlet adapter (which folds up and takes very little room in my bag). It’s great; I often end up hosting other folks who were locked out as well. I could make a living selling these things in airports. Amazon sells these for $10. That is too cheap to leave home without one. Just like the four outlet electric adapter, I also carry a USB hub. Never have too many USB outlets. Small, light-weight and inexpensive. For the want of a nail, the kingdom was lost. For the want of a pair of AAA batteries…. I don’t go anywhere without six triple-A and six double-A batteries. I also make sure that I put fresh batteries into my mouse and laser pointer before I leave on a trip. You can buy batteries on any street corner; unless you need them, in which case there are none to be had. I’m a big fan of Moleskine notebooks, and the great folks at CodeMash gave them away last year to every attendee (and gave cool embossed Moleskines to speakers). 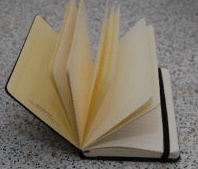 According to Wikipedia, Moleskine does not have an official pronunciation. In Italian it is pronounced [mɔleˈskiːne]. I keep one in my bag with a pen to jot down notes, thoughts, names, etc. All of this is typically transferred into EverNote (see my write-up on getting organized), but it is faster and easier to start by writing it down. Do not get stuck with a headache just before a presentation or an important meeting. Put a few Advil packets into your bag – better to have them and not need them, than to need them and not have them. I make my business cards through Moo. I keep ‘em with me because they make great bookmarks if I’m reading a paper book (some things just aren’t on the Kindle) and to give out at presentations and conferences. This entry was posted in Community, Opinion. Bookmark the permalink. 17 Responses to What’s In Your Laptop Bag? I’m no longer certain the place you are getting your info, however good topic. I needs to spend a while learning much more or working out more. Thank you for excellent info I used to be searching for this info for my mission. a broad spectrum of PC’s and is not necessarily tailored to suit laptops needs. so naturally in flat products has been demonstrated. There are many websites out there that offer online TV. feed and look forward to searching for more of your fantastic post. Green Lasers are great! I love using them to harrass Geese on the river. I know, that’s terrible. But be sure, for the price, EVERYONE should own one of there. Green laser pointer’s use to cost hundreds in the past, now it’s peanuts. I got a 50mW one for $13!! Check out my Youtube Channel: n0necheaper to check out my review and info on where I bought it. Nice …..BTW, I guess u missed the bag!, What about the Laptop bag itself…..Any advice on a good bag which will comfortably fit all of these?….. Does the Samsung 9 Series runs the Windows Phone Emulator ? I’m planning on buying a new laptop in a few months, and the 9 Series seems so sweet… since I want to do much work for Windows Phone on it, I want to be sure that the emulator runs fine on the Intel HD 3000 chipset. It has buttons on the bottom for advancing your presentation, along with a built-in laser pointer! Plus, if your laptop already has a Bluetooth receiver, there’s no need for another dongle. All you need is a handgun and you’ll be ready to go (but not fly). Very nice post. I didn’t know about a few of these devices (i.e. the power supply for laptop (seems like a very nice alternative to buying DELL battery packs which usually run > 175$ for 2.5-3 hrs max). The small multi-outlet is nice idea as well. What do you use ‘normal HDMI converter and an HDMI to DVI’ for? Wow, that is a lot of stuff. How much does all of that weigh, and how often are you visiting a chiropractor? Oh and thanks for the tip on the recording device, I have been looking for a truthful recommendation. By the way, you didn’t say anything about the bag itself. I’m still working on finding thee ideal bag. Once I do I’ll weight the whole thing and add a comment here.